'S e 4 am Faoilleach an ceathramh latha dhen bhliadhna a rèir a' Mhìosachain Ghriogaraich. Tha 361 latha (362 ann am bliadhna-leum) air fhàgail gus deireadh na bliadhna. 1896, inbhe stàite do dh'Utah. 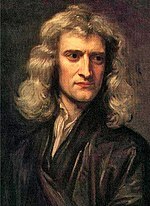 1643 – Isaac Newton, neach-feallsanachd nàdar agus matamataig Sasannach. 1792 - Johan August Arfwedson, ann an Skagerholms bruk. Ceimigear às an t-Suain. 1904 - Murchadh MacMhathain no "Cailleach an Deucoin" ann an ceann a deas nan Loch air Eilean Leòdhais. 1945 - Richard Schrock, ann am Berne (Indiana). Ceimigear às na Stàitean Aonaichte. 1941 - Henri Bergson, ann am Paris. Sgrìobhadair agus feallsanaiche às an Fhraing. 1960 - Albert Camus, ann an Villeblevin. Sgrìobhadair às an Fhraing. 1965 - T. S. Eliot, ann an Lunnainn. Sgrìobhadair agus bàrd. 2011 - Gerry Rafferty, seinneadair Albannach. Air a tharraing à "https://gd.wikipedia.org/w/index.php?title=4_am_Faoilleach&oldid=521540"
Chaidh an duilleag seo a dheasachadh 3 dhen t-Sultain 2016 aig 08:11 turas mu dheireadh.